Hello, I've noticed that very often the quick reply via the sms notification window does not work. In fact it's only ever worked once for me.This has happened both on my desktop, as well as on my Macbook pro. Ditto here. Running Windows 7 and whatever the latest AirDroid client is. If I pull up the main window I can send SMSs no problem, but using the quick reply gets me an error. Same here. I think it may have worked once, maybe twice, but every other time (couple dozen), it simply fails. Same problem. Sending from main SMS section works fine, quick reply in notification popup always fails. I shall try the click button instead of enter next time. Fingers crossed. I don't even get the reply option anymore when using the Windows client -- it's only available when I use the Web client. That's a shame! 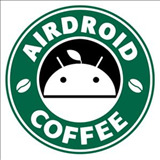 Please sne the logs to support@airdroid.com to help us troubleshoot (also attach the link of this thread, thanks). Ceate a file named log.dll in application support/airdroid/ Open AirDroid and log in. And then Click Finder > click Go > Press Alt until Library shows > Click Library.